Athena Cat Goddess Wise Kitty: It's International Cat Day! Yeah, I know, it's cat day every day, but who cares? If humans decide it's International Cat Day, then let them I say! It only means there's more cats trending on the Internet today than usual. And that can't be a bad thing can it? It's now available on two designs in our Zazzle stores. It should be Cat Day, every day, all day. Obviously, someone doesnt' realize that cats already run the world! 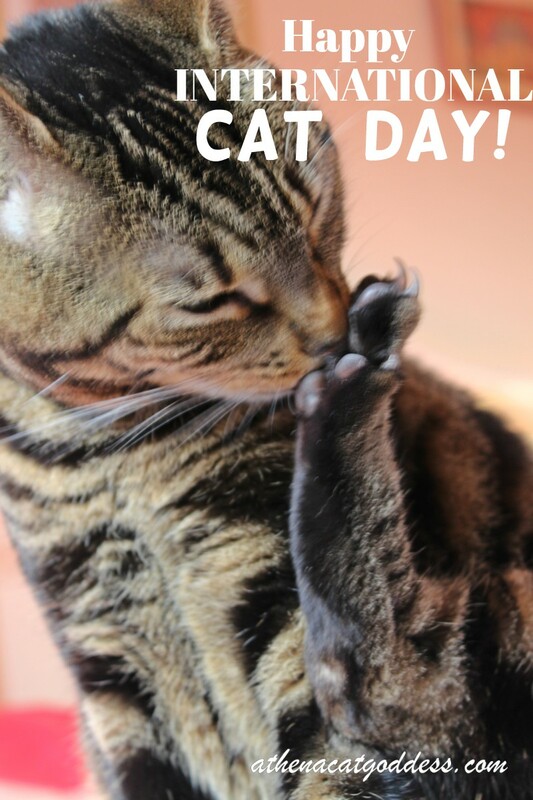 However, a Happy International Cat Day to all! Yay for World Cat Day! Happy International Cat Day! It should be celebrated every day. Happy International Cat Day, Athena and Mum Marie! Hugs!